Monash City Council today stepped up Australia’s response to the global refugee situation by passing a motion in support of expanding and improving the Australian Government’s current refugee community sponsorship program. “This is a fantastic show of support for welcoming refugees and Amnesty International is so grateful to have Monash City Council getting behind expanding this neighbourhood-led solution to the global refugee crisis,” said Shankar Kasynathan, Refugee Campaigner at Amnesty International Australia. Beatrice Head, the convener of Amnesty International South eastern group. “We’re very glad that the Monash City Council has joined the call to expand and improve refugee community sponsorship. We hope that the people of this city will rally behind this call, and continue to build a community that welcomes those who seek refuge in our neighbourhood,” said Beatrice Head, the convener of Amnesty International South eastern group. 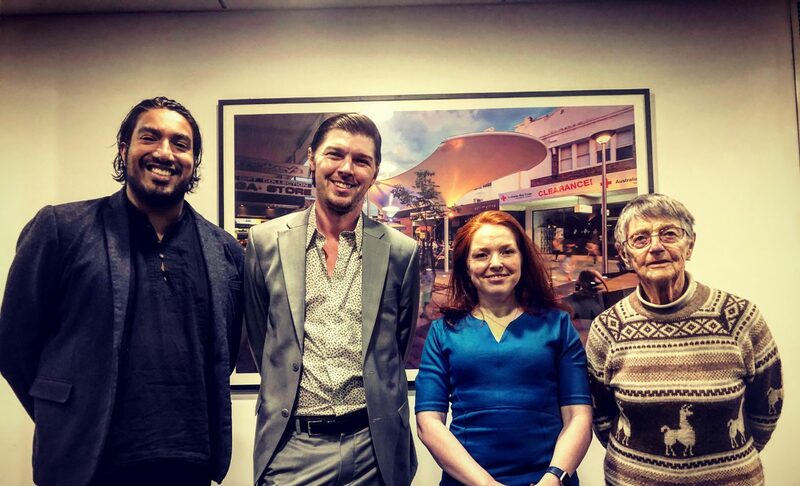 “I’m glad that the city that gave my family refuge years ago, has stood up this week and called on the Government to expand & improve refugee community sponsorship so that groups in Monash like our churches or sporting clubs can play their role in providing safe passage for people who we would love to contribute to this city as our new neighbours, ”said Shankar Kasynathan. Community sponsorship is a model where ordinary members of the community are able to sponsor visas for refugees, who wish to begin the process of rebuilding their lives in safety in Australia. The motion, proposed by Cr. Josh Fergus and Cr. Rebecca Paterson calls on the Federal Government to step up and ensure that the intake of refugees under community sponsorship is above and beyond any existing humanitarian or visa quotas, and to lower the program’s prohibitive visa fees. Monash council is one of almost 150 local councils across the country that have already declared themselves Refugee Welcome Zones. “Every day communities around Australia welcome new neighbours into their neighbourhoods. Sometimes those new neighbours are refugees and the role councils play in welcoming them so that they can rebuild their lives in safety is crucial, so it’s fantastic to see Monash Council step up with the passing of this motion,” said Shankar Kasynathan. The community sponsorship model has worked successfully in Canada for almost 40 years, welcoming over 280,000 refugees through the program, in addition to its humanitarian intake. In contrast, in Australia, the community sponsorship program is capped at only 1,000 places this year and for every privately sponsored refugee, the government takes a space away from the annual humanitarian intake of 13,500. “We can see from Canada’s example that the kindness of neighbours can help people who have lost everything to start again. An expanded and improved community sponsorship program in Australia would allow more people seeking safety to rebuild their lives, and set up a home here where they can prosper and thrive as new arrivals,” said Shankar Kasynathan.